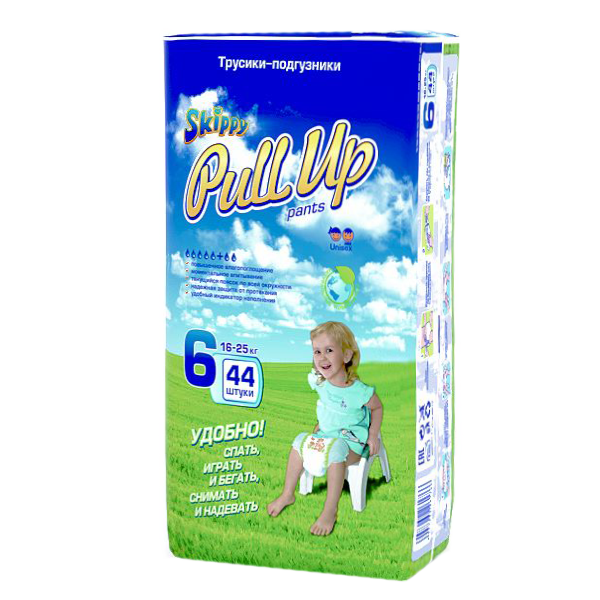 “Skippy Pull Ups” are a premium product that offers all the necessary qualities of a great pull up diaper. These undergarments do not differ in quality from products produced by leading international brands and manufactures all across the globe. The wide elastic waistband ensures extra comfort and fit. The waistband technology guarantees that the diaper stays in place under all circumstances. There is a Wetness Indicator that can be found on the diaper, the purpose of which is to display when the diaper is ready to be changed. This design, which features two yellow lines in the middle of the diaper, ensures that it is changed at an appropriate time. The unique and cute design of the pull ups, which is similar to regular underwear, makes them rise above their competitors. Handling of the packaging has never been easier. 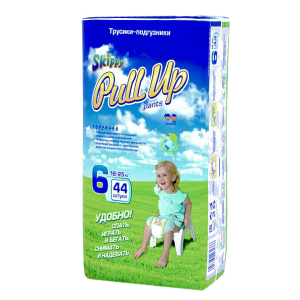 The reasonable price, the quantity of diapers in a pack, and the overall advantage that ‘Skippy Pull Up’ have over their competitors make these diapers a must have for any parent.